TJ Kennedy Joins Secured Communications as Chairman of the Board. Secured Communications is poised to capitalize on the explosive worldwide demand for secure broadband communications. Secured Communications, LLC, the global standard for secure, interoperable public safety and corporate communications, is proud to announce that TJ Kennedy has joined Secured Communications as Chairman of the Board. “Secured Communications is poised to capitalize on the explosive worldwide demand for secure broadband communications,” states TJ Kennedy. In addition to Secured Communications, TJ is one of the co-founders and principals of The Public Safety Network. TJ has had a 25-year career in wireless technology and public safety and, prior to The Public Safety Network, was the President of the First Responder Network Authority, known as FirstNet, an independent government authority charged with creating the first ever financially self-sustaining nationwide broadband network for public safety. 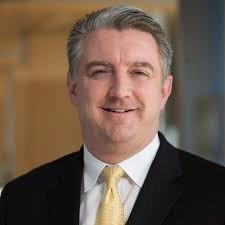 He led FirstNet from a start-up inside the United States government to become a $40 billion public-private partnership (PPP) that is now operating a mission critical 4G LTE network in all 50 US states, 5 territories, and the District of Columbia. This PPP is the largest ever in the United States and is now providing prioritized and preemptive public safety communications nationwide to law enforcement, fire, and emergency medical services personnel. Prior to FirstNet, TJ was the President of Raytheon JPS Communications and led the Public Safety business at Raytheon. “TJ’s knowledge, experience and expertise in the public safety and mobile communications will tremendously advance Secured Communications’ global footprint,” states Secured Communications Founder and CEO, Robert Wilson. With the ability to integrate applications and automatically store all communications in a secure cloud, Secured Communications is poised to capitalize on the significant worldwide momentum for increased high bandwidth communications particularly within the public safety community. Secured Communications works with agencies and companies across the United States and is expanding globally. For more information, visit: http://www.SecuredCommunications.com.